Our DB Series of heavy-duty electric strike releases are designed to work with a deadbolt rather than a latch. 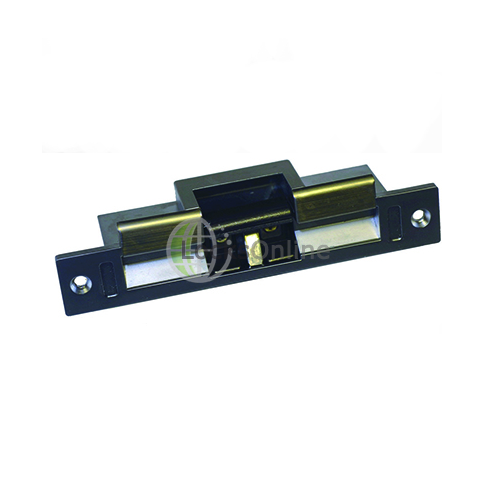 Where most electric strike releases will only operate with a latch, the jaw on these is designed in such a way that it will accept a standard deadlock instead. The practicality of this lies within the superior security of a deadbolt. 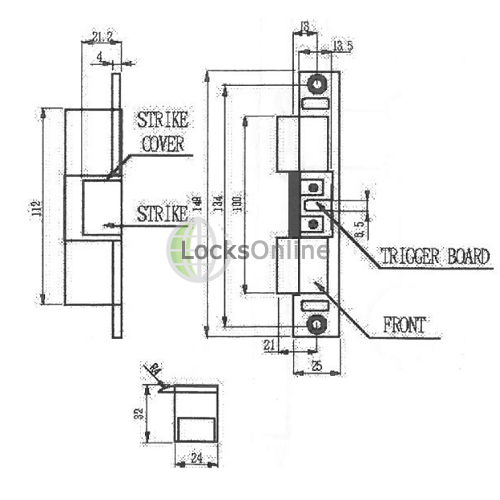 While these wont accept a full-length 20mm british standard deadlock, as they are only designed to accept up to around 16mm of bolt, it does still mean that rather than a latch which could potentially be manipulated open, the use of a deadbolt means that simple latch manipulation techniques wont work. This is also very useful when you don't want to have to fix the handle on the outside, or perhaps if you have a latch and a deadlock on the door, and want the person to have to use the handle to open the door. Using a standard strike in this situation wouldn't work, as you would need to make the latch non-operable otherwise anyone could simply open the door without the electric strike releasing the latch. One of the further unique advantages with these over others of it's kind, is that these are monitored; offering you the ability to check the state of the door, by means of a little snib within the jaw of the strike, which will tell you whether or not there is a bolt secured in the strike. Operating at just 120mA @ 12 volts (DC), these draw very little power - especially on the fail-locked versions, which only use power in order to release (whereas the fail-unlocked versions draw current permanently and only release when de-energised). 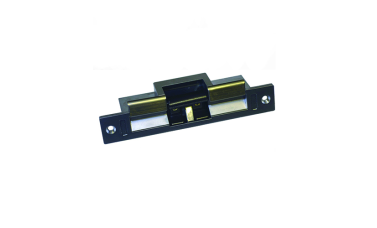 With a fairly compact ANSI style moulded body design, measuring in at just 150 x 32 x 25mm, these can be fitted easily with minimal modification. ACT 5e prox digital keypad plus proximity is a simple to use and easy to install standalone access c.. This complete installation kit contains all the common items required to install your alarm and acce..
Our 12 volt direct current boxed power supplies give a regulated and smoothed DC output to ensure a ..